The Galashiels’ Youth Club is a project proposed for primary school children. Its design is based upon cutting-edge research from a range of fields including child development, education, creative learning, and social outreach amongst others. The purpose of the club is to enculturate the youth towards sustainability and civic duty. The project owes it genesis to the author’s profound belief in the ability of children and to those children’s parents who desire nothing more than their children’s success and happiness. The youth of today and tomorrow face exceptional challenges. These indictments range from social, political, environmental, and economic upheaval in the face of an ever globalizing world sphere. However, these challenges are not all that younger generations face. This period marks an amazing spike in innovation, technology, cross-cultural inductions with only questions of, “how exactly can xyz been done?” holding back bright inquisitive minds. In Scotland, there are numerous programs and equally compelling legislation in place to help children answer this exact question. Currently, there are nine primary schools in the area servicing the Galashiels’ township wide population of approximately 17,000. From this index, there are 1232 are of the targeted age of 5-11 years old. Further statistical analysis reveals that many of children exist in multiple states of deprivation with 15.2% of children living in poverty. Many of the schools’ resources are overburdened and overextended with the former Scottish Labour leader Iain Gray campaigning for additional funding. However, within Galashiels there are consistent and available leverage points to help these children surmount obstacles and surpass limitations. This proposal will examine how the town of Galashiels can assist its youth in cultivating civic-minded and resilient children for both the challenges and enchantments of the future. The programme will be a weekend club. The programme will initially intake biweekly with a target goal of weekly meetings. It will be volunteer lead by community members. The role of “big brothers and sisters” e.g. role models is critical in the development and confidence building of children and therefore the club will be staffed by dedicated and passionate individuals of the borders community. The club will tentatively be titled “Galashiels Youth Club.” Attendees will be given the opportunity to name the club. They will also be given an opportunity to select a concurring agenda. Children and young people should find their learning challenging, engaging and motivating. The curriculum should encourage high aspirations and ambitions for all. Outside of numeracy, health & well-being, and literacy, pupils and practitioners are encouraged to create and investigate material that is both valuable and interesting to students. This is a massive allowance and demands narrowing. To this event the club’s mission bears repetition: cultivate civic-minded and resilient children. Within this structure, events and activities will focus on citizenship, sustainable development, creativity, and enterprise. Consequently, these themes are already highly encouraged by the CfE and affect attainment of the “four capacities” of creating 1.) Successful learners, 2.) Confident individuals, 3.) Responsible citizens, and 4.) Effective contributors. To assist the youth with cognitive comprehension their module will be designed in accordance with the Birmingham Grid for Learning. The Birmingham Grid for Learning commonly known as “multiple intelligences” is a multi-faceted and engaging teaching technique that supposes a variety of channels for understanding the world. The purpose of implementing this technique is twofold; the first is to engage children typically marginalized in traditional schooling and the second is to allow all children the opportunity to learn in a conducive environment that elaborates on their strengths. The sustainability and prosperity of our world is dependent upon the youth. But even in a perfect world, children would still require dedicated and focused interest in their day to day lives. Their needs are not peripheral to the local community needs, but exist in tandem to the agenda of Galashiels. 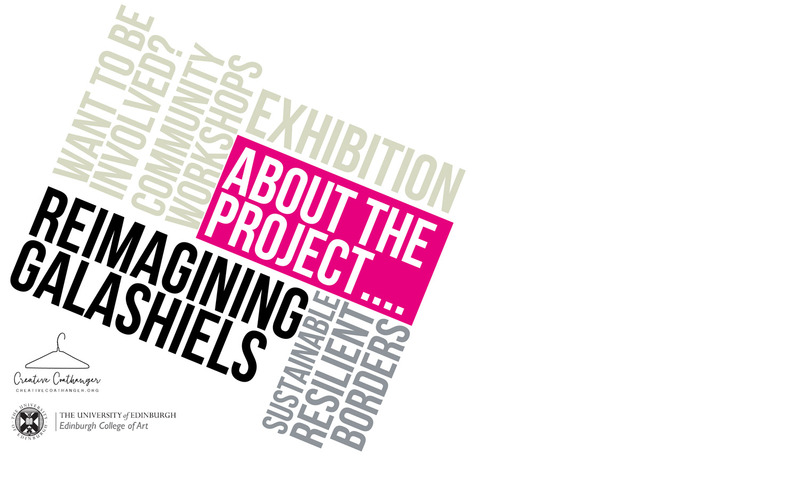 The purpose of this proposal is to address the social concern of how the youth of Galashiels can potentially impact their community in positive ways. Today’s students will inherit a world filled with both wonder and gloom. It is the aspiration of the Galashiels Youth Club that through regular attendance, these children can intensify the wonder, diminish the gloom, and in the words of Nelson Mandela the ability to change the world. The ‘place’ most readily available and equip to prepare children are the schools themselves. Schools already act as an institution of learning and growth. Within the built environment they are where children traditionally feel safe. Most crucially, they are places already in existences meaning there is no need to create additional facilities and to divert resources to their construction. It is judiciously noted that the initial ‘place’ will be Langlee Primary School given its social stature. 1. An overview of the Scottish education system, 2016. The School Run. Available from: <http://www.theschoolrun.com/overview-scottish-education-system>. [Spring 2016]. 2.Befriending, n.d. Families First St. Andrews. Available from: <http://www.familiesfirststandrews.org.uk/Index.asp?MainID=8487>. [Spring 2016]. 3.Barnes, Julie Ann, 2016. “Child poverty: A school to teach Scotland believes education offers the most effective way out of poverty.” Daily Record. Available from: <http://www.dailyrecord.co.uk/news/scottish-news/child-poverty-school-teach-scotland-7366761#WggMHhiG4TWR5mqR.97>. [Spring 2016]. 4. Excellent educational provision at all levels, 2011. Our Scottish Borders. Available from: <http://www.ourscottishborders.com/live/towns/populations 12>. [Spring 2016]. 5. Indications of Deprivation in High School Area 2014, 2014. Scot Borders.gov. 6. Mahon, Stephen, 2016. Gray wants more funding for Borders schools and colleges. Border Telegraph. Available from: <http://www.bordertelegraph.com/news/14240365.Gray_wants_more_funding_for_Borders_schools_and_colleges/>. [Spring 2016]. 7. Multiple Intelligences, 2016. BGfL. Available from: http://www.bgfl.org/bgfl/custom/resources_ftp/client_ftp/ks3/ict/multiple_int/what.cfm>. [Spring 2016]. 8.New Langlee Primary in Galashiels gets all clear, 2015. BBC. Available from: <http://www.bbc.co.uk/news/uk-scotland-south-scotland-34786096>. [Spring 2016]. 9. Schools in Galashiels, 2012. School Search. Available from: <http://www.schools-search.co.uk/school-search-town.php?town=GALASHIELS>. [Spring 2016]. 10. The Purpose of Curriculum, 2016. East Lothian Council. Available from: <http://www.eastlothian.gov.uk/info/878/schools/224/the_purpose_of_the_curriculum>. [Spring 2016]. 11. The Foundations of GIRFEC, 2015. The Scottish Government. Available from: <http://www.gov.scot/Topics/People/Young-People/gettingitright/what-is-girfec/foundations>. [Spring 2016]. 12. What is Curriculum for Excellence?, n.d. Education Scotland. Available from: <http://www.educationscotland.gov.uk/learningandteaching/thecurriculum/howisthecurriculumorganised/schoolcommunity/index.asp>. [Spring 2016].